FA charged Sir Alex Ferguson the Manchester United Manchester has been fined £12,000 after being found guilty of misconduct. Charges were brought against him following his remarks about Simon Beck the assistant referee. Ferguson expressed his anger that Wayne Rooney had not been awarded a penalty in the match after the 1-1 draw with Tottenham last month. 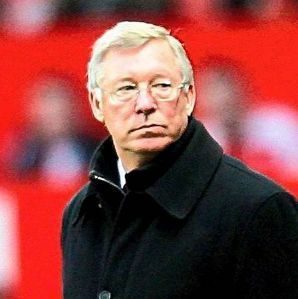 The FA released the following statement today: "Following an Independent Regulatory Commission hearing today, Sir Alex Ferguson has been fined £12,000 in relation to media comments made after Manchester United's game at Tottenham Hotspur on 20 January 2013. Though he appealed the charge by FA but could only escape with a touchline ban the fine was not struck off by the FA. "It was alleged that the Manchester United manager's post-match media comments implied that the match official was motivated by bias.